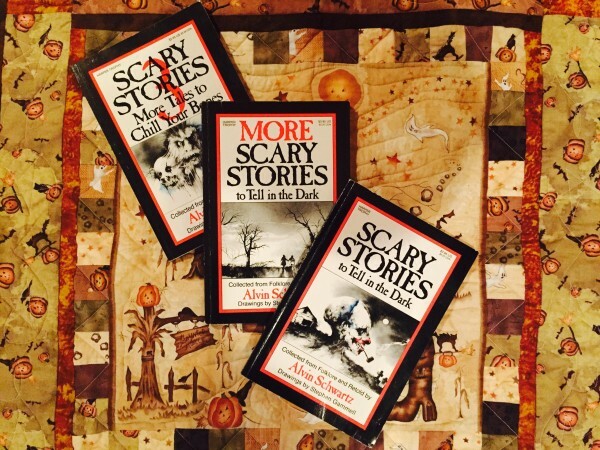 Do you remember Scary Stories to Tell in the Dark and its two sequels? They were collections of creeptastic tales collected from folktales and retold for children by Alvin Schwartz and originally illustrated by the brilliant Stephen Gammell. These books were widely challenged at public libraries around the United States and even banned at a number of school libraries. Why were they so controversial and what was their allure for a generation? Filmmakers Cody Merck and David Thomas plan to answer these questions in their forthcoming documentary Scary Stories. I guess these were after my time. *g* But I do remember books of horror stories being readily available at our local library. Mainly, because I checked them out all the time. One in particular had a story of a person who keeps running into people with larger and larger teeth. The illustrations were something else. But I think it was a more open time, in that children weren't "protected" from so many things. oh my goodness. I don't actually remember these myself, but my 33 year old daughter asked me over the weekend (as we were watching my first ep of American Horror Story) if I remembered her reading them. When she showed me the covers, I *did* remember. been lurking and reading your entries and not commenting. Hope to catch up on that, but must say you have not lost your Halloween scary sparkle and thank you! I am so tired of hearing about "banned books". If they had been banned, no one would've ever heard of them. I would argue that you have it backwards. Banning a book actually brings it (frequently unwarranted) attention it might not have gotten on its own. Then there's how forbidding something has a tendency to perversely increase the desire to sample the forbidden. I maintain that a significant chunk of the Gawdawful crap forced onto unsuspecting English students to effectively kill any desire to enjoy reading would hold the status of ignored files on Project Gutenberg had someone not attempted to ban them. Banning a book actually brings it (frequently unwarranted) attention it might not have gotten on its own. Well, sure, which is probably one of the main reasons the fuss is made to begin with. I maintain that a significant chunk of the Gawdawful crap forced onto unsuspecting English students to effectively kill any desire to enjoy reading would hold the status of ignored files on Project Gutenberg had someone not attempted to ban them. Those covers still creep me RIGHT out.